DOB 1895 at Tipton, Staffordshire. 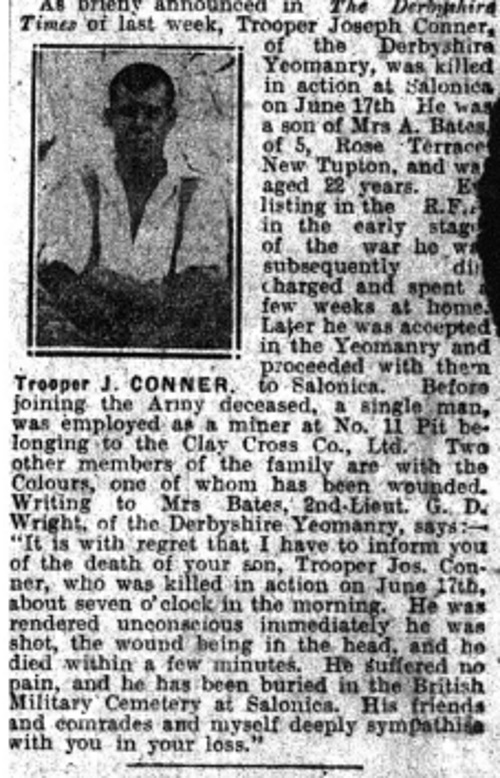 Derbyshire Times & Derbyshire Courier Obituary. Parents address 5, Rose Terrace, New Tupton. Grave location or memoria location Buried at Struma Military Cemetery, Greece. Any other information? 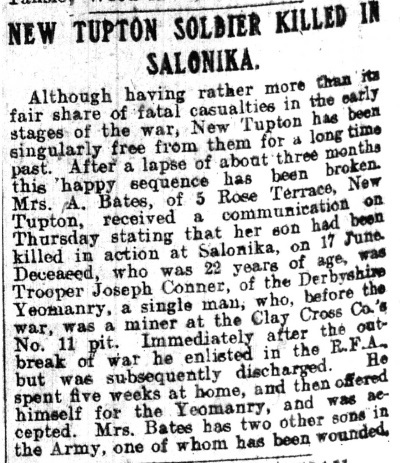 Joseph's father died in 1895, and his mother remarried a Mr Abraham Bates, and moved to New Tupton. Pre war occupation was a miner at Clay Cross Company No. 11 pit. 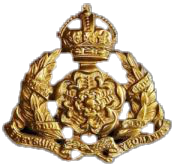 Enlisted in the Royal Field Artillery in 1914 (service No. 89946), but was discharged after 39 days on health issues. Later accepted into the Derbyshire Yeomanry. 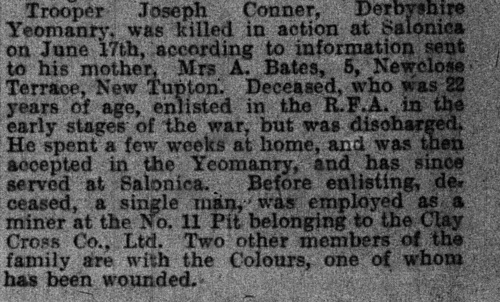 Two other memners of his family were serving in the forces at the time of his death, one of whom had been wounded. 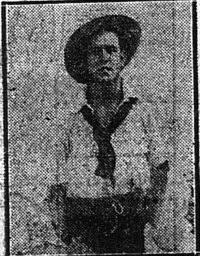 Given the information available it is likely that Joseph Connor was entitled to the Victory medal, also called the Inter Allied Victory Medal. This medal was awarded to all who received the 1914 Star or 1914-15 Star and, with certain exceptions, to those who received the British War Medal. It was never awarded alone. These three medals were sometimes irreverently referred to as Pip, Squeak and Wilfred. 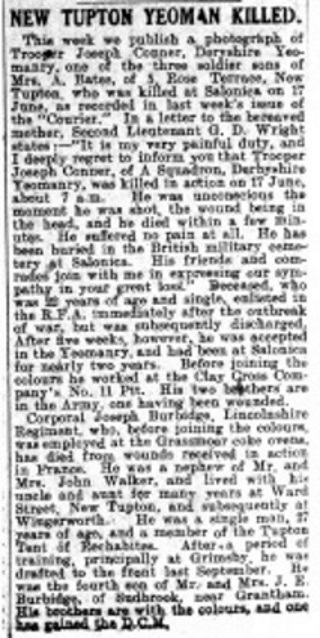 From the information available, it is very possible that Joseph Connor was entitled to the British War Medal for service in World War One. This British Empire campaign medal was issued for services between 5th August 1914 and 11th November 1918.